Anurag Kashyap is India's most visible contemporary filmmaker in the west, and that is with good reason. His international breakout film, Gangs of Wasseypur was a smash at the Cannes Director's Fortnight in 2012, and he's continued making excellent cinema since. Of his last four features since 2012, Ugly, Bombay Velvet, Raman Raghav 2.0, and Mukkabaaz, three have been critical hits, and he is one of the most controversial filmmakers in that country. 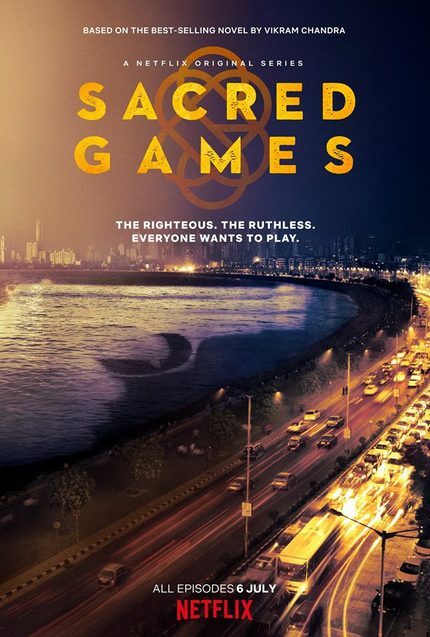 This year sees Kashyap and his team at Phantom Films partnering with Netflix to release a serialized adaptation of Vikram Chandra's hit novel, Sacred Games. This marks Kashyap's first big foray into directing for the small screen, but it doesn't look like he's going to lose any of his punch by scaling down. With Gangs of Wasseypur's monstrous five and a half hour run time - which was recut to fit an eight episode miniseries for Netflix - Kashyap has proven that he can work with extended, intense storylines and that he knows what to do with that kind of a commitment. Also directing on this project is Phantom Films partner Vikramaditya Motwane (Trapped, Bhavesh Joshi Superhero, Lootera), which brings another exciting flavor to the series. Not only are the directors worth drooling over, they have drawn a very interesting cast to breathe life into the roles in the film. Kashyap regular Nawazuddin Siddiqui will be playing the lead role of the crime boss Ganesh Gaitonde, while his natural enemy Officer Sartaj Singh will be played by Saif Ali Khan. Therse two men aren't the only ones to look out for though, the film is loaded with some really great actresses as well including my idol and one of the great actresses of India, Radhika Apte who worked with Kashyap in his segment of the international omnibus project Madly, and Surveen Chawla, a vet of Ugly and Parched. The series is set to be released all at once on July 6th on Netflix worldwide. I know what I'll be doing that day!